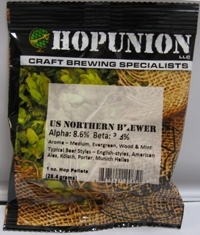 A general-purpose bittering hop that offers a neutral, clean bittering primarily in ale styles. 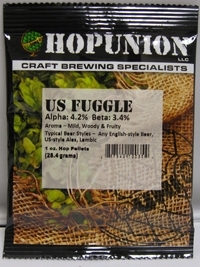 Derived from a cross between Fuggles and the Russian hop Serebrianker. Traditional aroma hop, appeared in 1875 England. 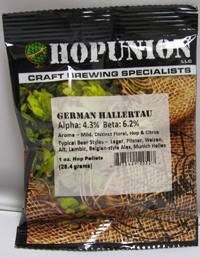 Traditionally a superior German aroma hop. Bred from a cross between a female hop of wild American parentage and an English male. Classical noble aroma hop with long and strong traditions. 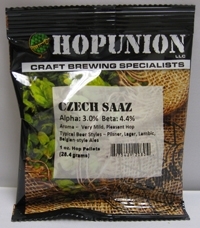 Associated with the renowned Pilsener Lager. A quality aroma aroma hop with a smooth soft flavor. Domestic Ahtanum Hop Pellets 1 oz. 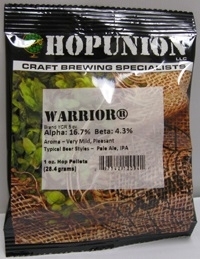 Aroma is flora, earthy, citrus and grapefruit tones. 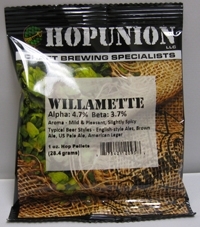 Typical beer styles Ahtanum Domestic Hop Pellets is used for: Pale Ale. Domestic Amarillo Hop Pellets, 1 lb. Domestic Amarillo Hop Pellets 1 oz. Domestic Cascade Hop Pellets 1 lb. Aroma: medium intense floral, citrus and grapefruit tones. 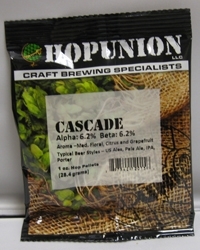 Typical beer style: American-style Pale Ale. Domestic Cascade Hop Pellets 1 oz. 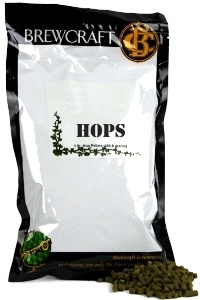 Domestic Centennial Hop Pellets 1 lb. 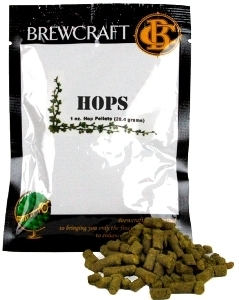 Domestic Centennial Hop Pellets 1 oz. Domestic Chinook Hop Pellets 1 oz. Domestic Citra Hop Pellets 1 oz.